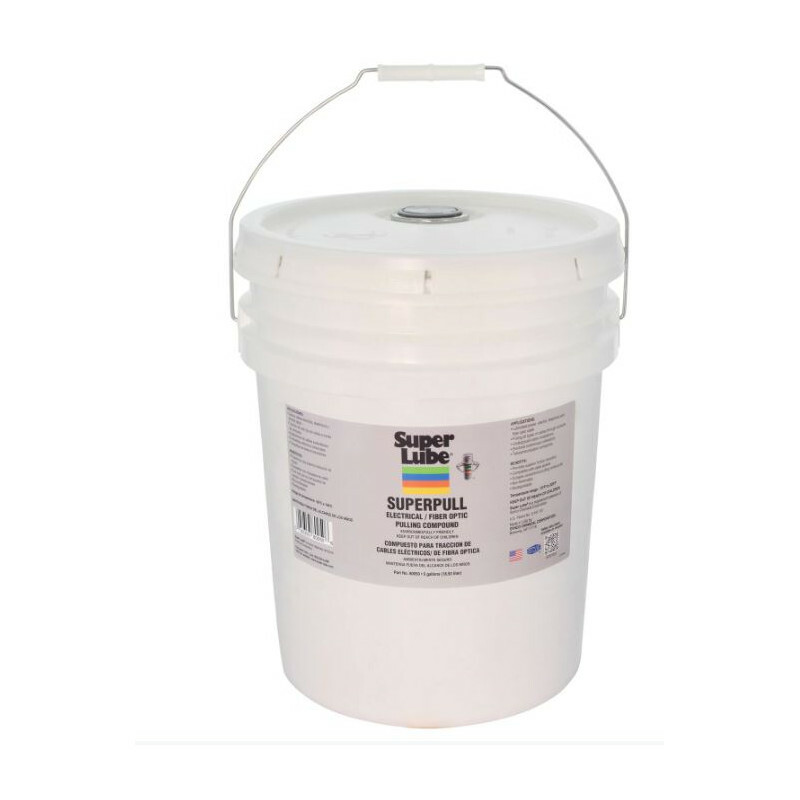 SuperLube® SuperPull Compound is a low-friction compound used to reduce the force required to pull fiber optic, telephone, or power cables through long conduit runs. SuperPull has an extremely low coefficient of friction and is compatible with most materials commonly used for cable jacketing, including LDPE, MDPE, HDPE, polypropylene, PVC, neoprene, and polyurethane. Long term exposure is harmless to cable sheathing and will not burn. The temperature range extends from -15°F to 220°F. For a complete list of applications, or if you have a question, CONTACT US.